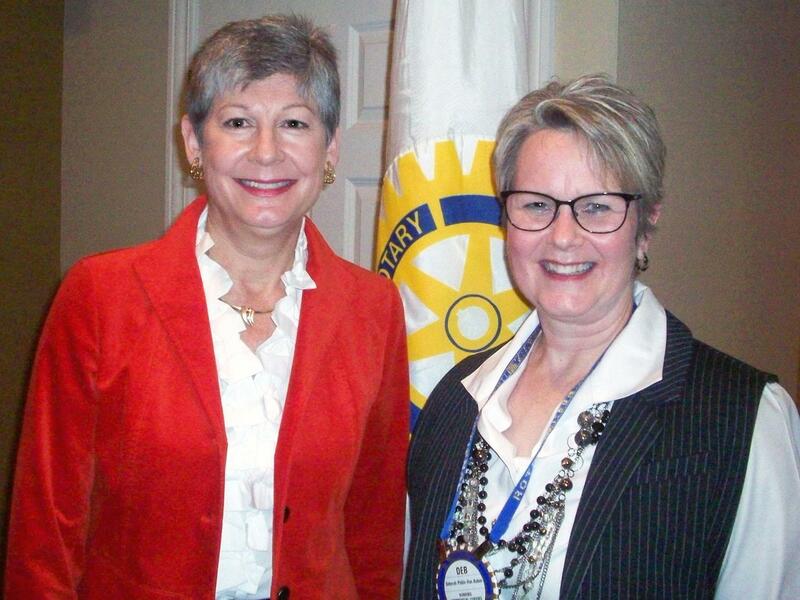 Rotary File for December 15, 2015 | Rotary Club of Iowa City A.M.
At the December 15 meeting the speaker was Nancy Keon, Vice President, Coaching Services, Advancement Resources who spoke on "The Gift of Gratitude." Her introducer was Deb Pullen-Van Aucken. Pres. Myrene Hoover commented on a make-up that called her attention: a cruise trip. Of course, it was the Rotary Institute Leadership cruise attended by a few of our members. President, 2017- 2018 period: Phil Peterson. 2-year term: Kris Ockenfels. She will complete Phil’s term. All Board members will begin in July 2016. Brian Adamec mentioned there are 3 nut boxes left. All 3 of them were sold by the end of the meeting. Deb Dunkhase reminded members who signed up to volunteer that the Gift Wrapping event is on Dec. 24th. Trivia night event still needs members to commit to participate. The date will be January 19 at the Mellow Mushroom in Coral Ridge Mall. Deb also reminded members that these fundraising events are more important for the financial health of our club now that we do not count on the income from the can collection at City Carton Recycling Co.
Nancy Pacha gave an update as to the health Breyan Neyland's husband is having; it is progressing very rapidly, not for the better. Give Nancy or Liz Nichols a call to get Breyan's address to send good wishes. Deb Galbraith reminded February Grants Event Committee members that there is a meeting immediately following our meeting. An update on Louise Novak’s health was mentioned. She is back in the hospital. It was suggested that we keep Tom and Louise in our thoughts. Mark Patton reminded members that one of the "Can Do" trailers is outside. It will be there again next Tuesday so those of us who forgot to bring our plastic bottles and cans to recycle will be able to do so next Tuesday, Dec. 22nd. Members need to make sure the plastic bottles have the 5c return value. Happy bucks: Jim Petersen was happy that there are 58 people for the Xicotepec Project at the end of its registration period. There were several other happy Rotarians. Keon has identified three different ways to approach potential donors (PD): 1. arm twisting (fundraising is one of them); 2. putting the arm on; and 3. giving till it hurts. Philanthropy discussions are more difficult than other types of money discussions, such as discussing estate planning with an attorney or savings with a banker. However, Ms. Keon said it is much more difficult to talk about money in the context of service. To request donations, we need to know our interests and we need to connect them with the PD’s passion, loyalty, and obligation or tradition. The cause needs to be meaningful for them. The cause has to bring joy and connect with the PD’s personal story. Loyalty (to a cause) vs. Passion. The latter is defined by the MEANING, not by the amount of money. Since individuals are the ones who make bequests and make up the decision-makers in corporations, 100% of donation decisions are made by individuals.